Windows computers have the recycle bin, which is super useful when you need to retrieve a file or folder you deleted previously. On deleting a file or folder, Windows sends it straight to the Recycle bin, and it stays there until you either delete it permanently or recover it. However, what happens when you delete a file permanently from the recycle bin later discover that you need it? 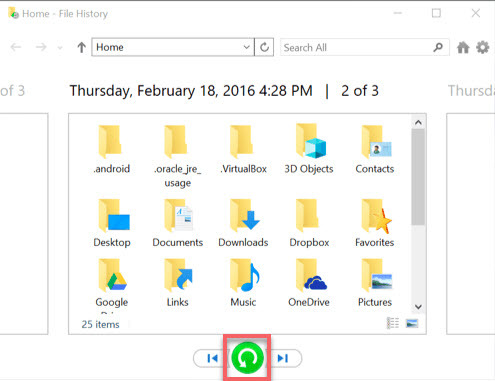 There are also ways you can recover the file or folder. iMyFone AnyRecover is an amazing software that helps you recover all kinds of deleted documents, including files deleted from Recycle bin. The application, available for PC and Mac, performs this recovery operation with the help of its special scanning and data recovery algorithms. Capable of recovering data from any PC or storage devices no matter the file was deleted, formatted or corrupted. Supports over 1000 file types including photo, audio, video, email, office documents, etc. Enables you to get all your lost files back with a high recovery rate up to 98%. No technique knowledge required, easy to operate by yourself. Step 1: Launch iMyFone AnyRecover on your computer and choose “Recycle Bin Recovery” mode. Step 2: To make the process quicker, select a specific file type you want to recover from photo/audio/video/document/archive/others file type. Then click on "Scan". Step 3: The program will quickly scan your emptied recycle bin. It will present you the results of deleted files after the process finished. Step 4: All your lost files from emptied recycle bin will be listed. You can click to preview before the recovery process. 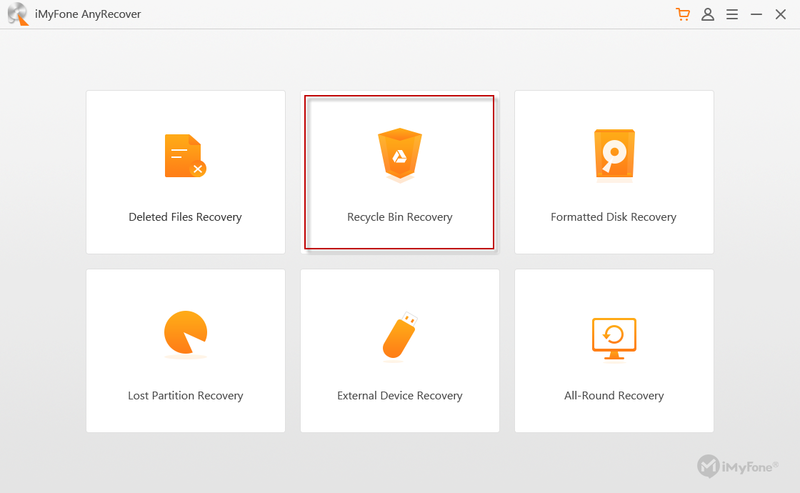 Click on "Recover" to get your deleted files back after you select what you want to recover. 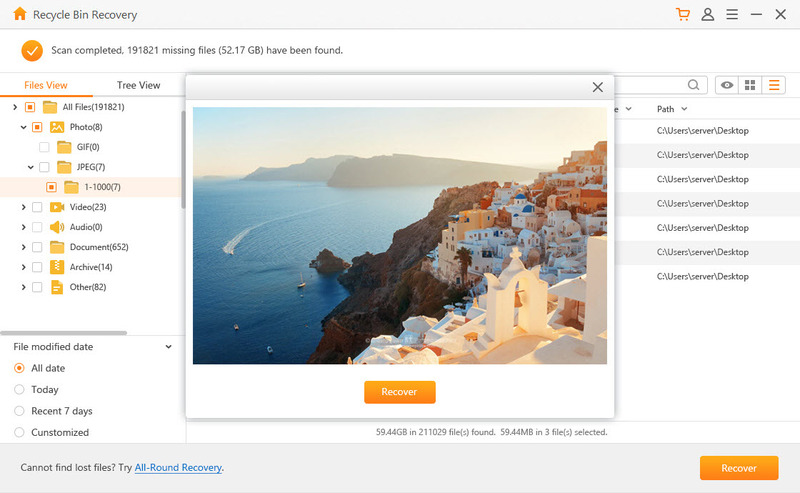 If it fails to find your lost files, you can have a try at “All-Round Recovery" mode which does a deeper scan for more files, but it takes more time. Note: Do not save the data to the partition on which you lost or deleted the data before. If you do not want to recover deleted files using the suggested software, you could try the option of doing it without an app on your Windows 10 PC. Windows 10 allows you to perform this same operation, but not quite as easily or quickly as iMyFone AnyRecover. Navigate to the folder the file was deleted from and click on it. Obtain the path of this folder. 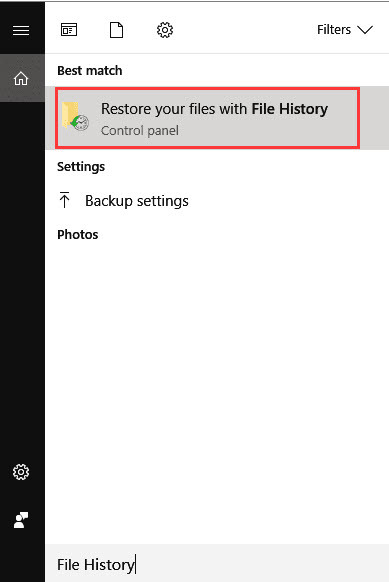 Search for file history, the system will display such a prompt "restore your files with File History", click on it. You will see a display of the files in your last backup. Choose the file you wish to restore and click the restore menu. When you delete a file from your PC, Windows moves the file into the Recycle Bin. If you delete it from the Recycle Bin, what happens is that instead of Windows deleting it at once, the operating system converts the file to a format that is unrecognizable and marks the space taken by the file as “free space”. However, if there is activity on your computer following the deleting, the operating system will overwrite the file. 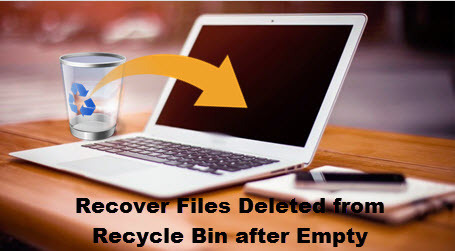 Therefore, once you delete a file from Recycle Bin, recover it as quickly as possible, and do not make any further activities on your PC. New files are not the only items that can overwrite your deleted file; activities like launching or closing an application, or even shutting down the computer all take up space on the hard disk. Let us take a scenario where you delete a file or folder and realize that you made a mistake. You still need the files, but you are not going to begin recovering deleted recycle bin files immediately; you just want to prevent your computer from overwriting this file. The first thing you should do here is to stop using the computer and shut it down. Next, take out the hard drive from the computer. This preserves the present state of the hard drive, so nothing happens on it that can overwrite your file. When you are ready to recover the file, do not boot from this hard drive, because the process can create temporary files that might overwrite your file. Instead, connect the drive to an external docking station and connect to your computer, which you should boot a different system drive; you could as well use an entirely different PC. You now know that it is possible to recover deleted recycle bin files from Windows computers. You also know that with some activity on your computer, the file will eventually get overwritten by the operating system. So far as the files are not yet overwritten, you have a chance of recovering them, either via Windows 10 built-in feature or using the unique iMyFone AnyRecover.